Who's A Happy Hugglewug, Then? 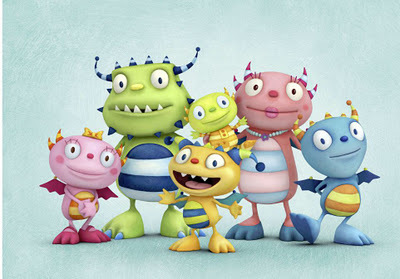 Disney's London based production base has given the go-ahead for a new animated series 'The Happy Hugglemonsters' which will premiere in August 2012 on Disney Junior and will be airing in over 150 countries worldwide. This 52x11 minute series, aimed at preschool children, is based on the wonderful picture book 'I'm A Happy Hugglewug' by our wonderful, wonderful Niamh Sharkey. And if all of that isn't enough to make you happy, the series will be produced by Brown Bag Films' Dublin-based studio.... making Happy Hugglewugs out of us all. We're at one week and counting until the big day! Every year, I always bring home one special book for the season, and my collection is growing exponentially. I'd like to take a moment to share with you a few of my favourites over the years. 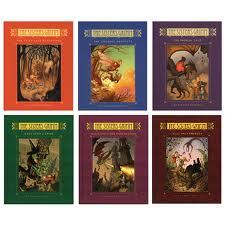 These books come out year after year for the whole family to enjoy. I hope you enjoy them as well. 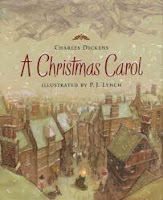 This book needs no introduction, but I need to add that my very favourite edition of this is the one illustrated by PJ Lynch...beautiful and evocative! Again, a story that needs no introduction and there are numerous editions available, with new editions published nearly every year. For me, the edition that sums up the time and the spirit of this story is illustrated in black and white by Matt Tavares. Timeless! 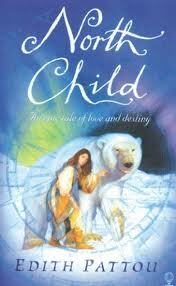 North Child is not really a Christmas story, but it is a beautiful and eloquent winters' tale. Based on the old fairy tale, East of the Sun, West of the Moon, Pattou tells the story of Rose, born the eighth child of a poor family, who is sent off with the White Bear to live in a castle in a mountain and break the enchantment that holds the Bear hostage. An exceptionally written novel for ages 10 years and up, this is one of my very favourite books. 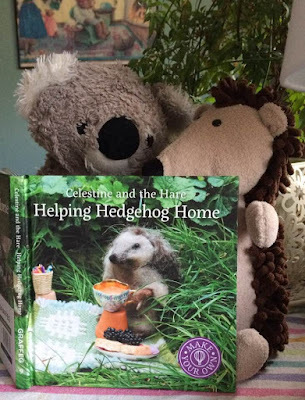 What a wonderful book for the younger children and the young at heart! 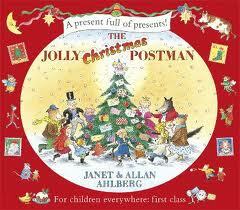 It's Christmas Eve and the Jolly Postman is making some very special deliveries to some very familiar friends. Each page contains a letter to open (who doesn't like opening other people's post? ); each one with a small gift... puzzles, games, pop-up cards. Just wonderful. Beautifully illustrated, Little Bear lives at the top of the world. 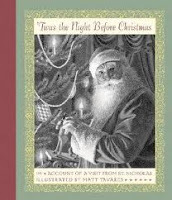 When he accidentally falls into Santa's workshop one night, it's the start of an amazing adventure. Watch out for that naughty penguin... where's he got to now? 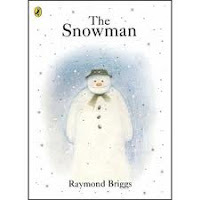 It just isn't Christmas, or winter for that matter, without The Snowman. Being a traditionalist (about some things, anyway) I strongly suggest picking up a copy without words. 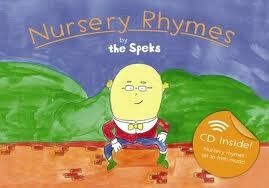 This is a book that the children (and me!... and maybe you, too.) will spend hours and hours pouring over the pages. A real memory to treasure. Our friendly and intrepid mice are at it again. This adventure sees them out to deliver Lucy and Arthurs' letters to father Christmas wit the assistance of the terrifying Baron Toymouse in Toyland... and then there's those clockwork cats to contend with. Will Father Christmas receive the childrens' letters in time? 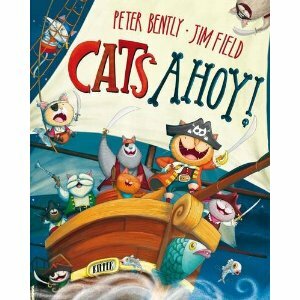 A brilliant novel for younger children. 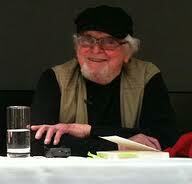 True legend and most beloved author Russell Hoban has passed away at the age of 86. 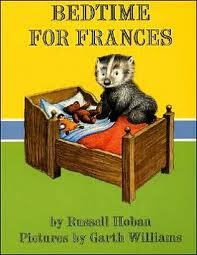 While his work was prolific to say the least, and he wrote across many genres, Hoban found his biggest comercial success with his children's books: The Mouse and His Child, The Marzipan Pig, and (my personal favourites) the Frances the Badger series: Bedtime for Frances was read over and over in our home. It is fair to say that Hoban could be described as a maverick writer with truly original, creative gifts and talents and a unique ability to turn a plotline. His vision was truly unique in all his writing. Hoban died last evening, 13th December. His unique vision, which was easily expressed in all his writings, will be remembered with great love and joy, and he will be truly missed. 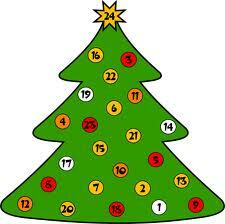 It may be the 14th of December (where does the time go? ), but it's not too late to check out the Guardian's Advent Calendar... even if you have to play a bit of catch up.... Harry Potter quiz, decorate the tree, listen to clips from some of your favourite children's/YA authors; there are 24 ways to count down the remaining days with all kinds of book-related fun. Have you learned how to draw a penguin yet? If you're still in a quandary as to what books the kids will be looking for this Christmas, check out Sarah Webb's suggestions in today's Independent. It's a great place to start and will set you straight as to what's great out there. 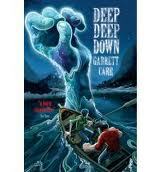 The morning after a storm has swept across the country, Asa wakes up to two shocking discoveries. 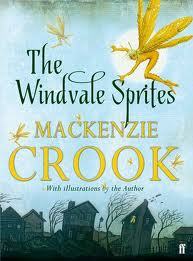 The first is that his sleepy little village, Windvale, is now completely unrecognisable due to all the damage. The second...among the debris that is now his back garden, Asa finds a tiny winged body; and it's not an insect. It appears to be a fairy. But fairies don't really exist... or do they? 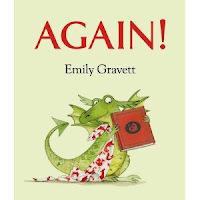 Fabulous story with marvellous illustrations throughout, all done by the author. Freya is an ordinary, contemporary school girl, living in a contemporary world with one very big difference.... the people still worship the ancient Norse gods. One night, while stuck with her father as he works the night shift in the British Museum, Freya finds herself inexplicably drawn to an ancient Viking horn. When she blows the horn, Freya, along with 3 chess pieces come to life, is immediately transported to Asgard. There she is charged with a dangerous mission, but one she can't refuse... to save the gods, herself, and the rest of the world. 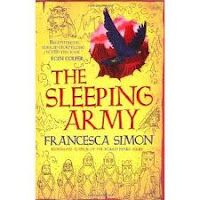 Dramatic, funny, rollicking adventure from the author of the Horrid Henry books for ages 8 to 12 years. 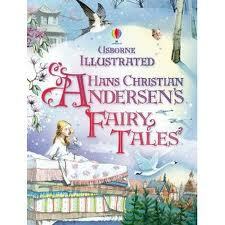 An enchanting, thoroughly magical new fairy tale. 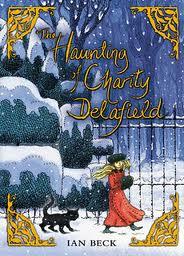 Beck weaves the story of flame-haired Charity, who has grown up in her huge house (most of which she is forbidden to enter) with no friends other than her cat, due to a 'condition' she apparently suffers from. All of her young life, Charity has had a reoccurring dream of a corridor hidden somewhere in the house. When she discovers the corridor and enters it, she realises that everything is not exactly as she's always been lead to believe. Superb book for ages 8 to 12 years. 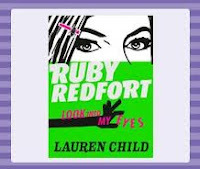 Ruby Redfort, 13 year old schoolgirl, is also a genius codebreaker,a bit of a detective, and a serious handful for her parents and teachers. This character was first introduced in the Clarice Bean novels and is now featuring in her first book, along with some very bad bad guys, a housekeeper who has disappeared, secret agents and a very loyal, and long-suffering best friend, Clancy. Hilarious spy adventure, not unlike the Nancy Drew stories... just more contemporary and very funny. Andrew, Ewan and May (from The Badness of Ballydog and Lost Dogs) are back! In the mountains, by a serene, beautiful lake, life couldn't be more ideal. People live long and happy lives... in fact, they live much too long. But our three intrepid friends are about to put an end to all of that. That is, of course, unless the secret, hidden monster living at the bottom of the lake puts an end to them first. 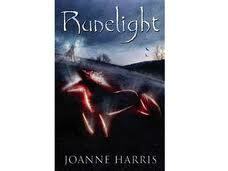 This entire series is tension-filled and really gripping.. and this one, I think it may be my favourite of the lot. Truly frightening, and a great read. For ages 11 years +. 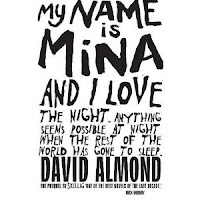 For young adult readers, I'm not going to say too much about this book, because I've already talked endlessly about it. An exquisitely written historical/sci-fi-esque novel that consumes it's genres and turns them into something really rare. Brilliant writing and a wholly unique concept make this a must read for ages 14+. Those Norse gods (from her previous Runemarks) are back again, and, as usual, they are squabbling and fighting amongst themselves, while using us mere mortals as pawns in their game. The heroine this time is the feisty, fiery Maggie, a girl the same age as Maddy, but raised a world apart. 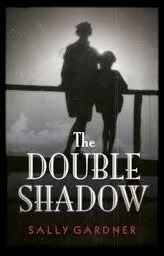 A conflict between the two girls, a chilling, eerie prophecy from the oracle and twelve days until the end of the world! What more is there to say? Read this book and it's predecessor.... fabulous! Just a quick link for you all. I've had another review published on The Bookbag. 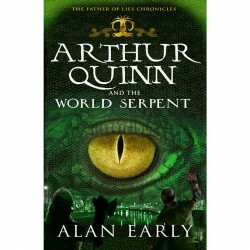 Here's the link for my review of the fabulous 'Arthur Quinn and the World Serpent' by Alan Early, published by The Mercier Press. This is the first book of the 'Father of Lies Chronicles', and frankly... after reading this one, I just can't wait for book two! 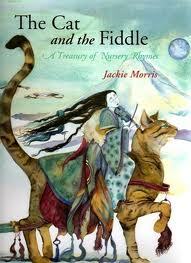 A real treasure trove of traditional Irish rhymes from everybodys' childhood. 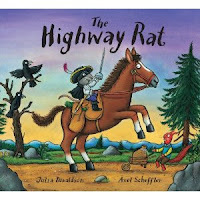 This beautifully illustrated book will bring another generation of young readers the rhymes we knew from our own youths'. Pure delight! This is a must have for your home collection! 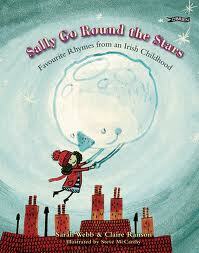 (Royalties from this book all go to the National Children's Hospital Tallaght). It's time for little dragon to go to sleep, so of course the favourite bedtime story is a must. But once is never enough. When Mummy dragon falls asleep from sheer exhaustion, there are extraordinary consequences to not heeding the pleas of AGAIN! AGAIN! 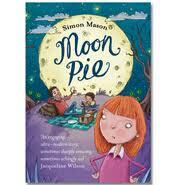 A tale to which every child and their parents can relate, this is destined to become a firm favourite. 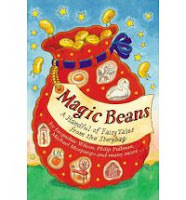 The very best authors in childrens' fiction have given us a dazzling anthology of tales to delight, entertain and infuse the imaginations of readers young and old. Rather than original writings, the authors have re-crafted the traditional stories that inspired and enthused them as children. 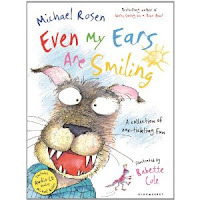 No one can write poems that speak to the hearts and minds of children like Michael Rosen. Here's his new collection of poems that are insightful, accessible and just plain fun! 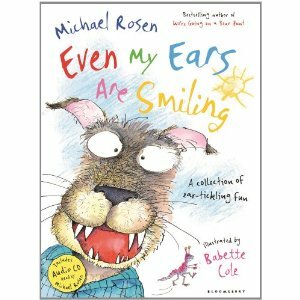 The contemporary, quirky illustrations by Babette Cole work in perfect complement to Rosen's trademark voice. 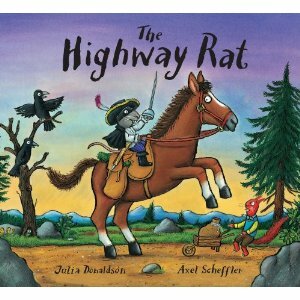 The Highway Rat is a thief extraordinaire. He steals from all and shares with no one. None of the animals are safe from his greed and stealth. But will he finally meet his match in the form of a cunning duck? Rollicking, rhythmic... a classic from the team that gave us the Gruffalo. This is a purely beautiful and elegant collection of nursery rhymes with exquisite illustrations, each one a perfect work of art. As you read through the book, watch each page closely where you find illustrated references of previous pages. This allows this book to become a journey through the land of rhyme... and a book that will be taken down and leisurely pondered through for hours on end. 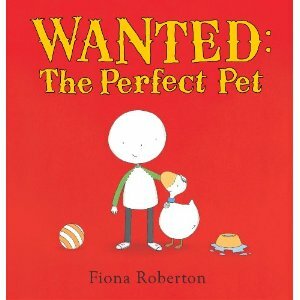 Henry wants a dog more than anything else in the world, so he takes out an ad in the newspaper to find 'the perfect pet'. Far away a lonely duck wants to be the perfect pet, but can't seem to find a home. Then the duck sees the ad and comes up with a (not so cunning) plan. This book is heart-warming and, frankly, hysterical! Ever wondered what happens when at night in the toy museum when the visitors go home and the lights go out? Bunting, the old and very sensible cat does his best to keep an eye on everything, but all the other toys just want to have some fun! Wonderful storyline matched with great, colourful, contemporary illustrations make this one to read again and again. Twelve classic fairy tales from the pen of Hans Christian Andersen, retold for younger children and illustrated with pure enchantment, this is another in the Usborne Illustrated Story collection... all of which deserve a place on the family bookshelf to share with all. It's December 1st and the holiday shopping season is now in full swing. 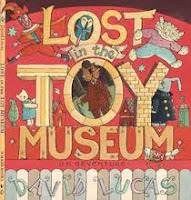 We've got the Late, Late Toy Show tomorrow night, and there have been loads of recommendations in the press and online lately in regards to which books to gift this season. (It was also really interesting to learn that, this year, here in Ireland, the gifts we all most want to receive is....BOOKS!) I just thought I'd add to the mix with a few suggestions of my own. These are not necessarily echoing the recommendations already made by many of my brilliant colleagues and friends in the book business. I thought I'd try to have some alternatives that haven't received as much recognition...though I think you'll find that's not necessarily true, either. Anyway.. today, I'm going to recommend some series. I'm frequently asked about series at work. It makes sense. You're looking for something that will really excite your favourite young people about reading, and if there is more than one book, you can keep them reading and enthusiastic. So, while the obvious choices are receiving loads of recognition, and the kids are really enjoying Wimpy Kid (Kinney), the Inheritance series (Paolini), Skulduggery Pleasant (Landy), Artemis Fowl (Colfer), Inkheart (Funke), along with all the fabulous young adult series out there... and of course Harry Potter is still going strong, here's a few others to entertain and capture the imagination. 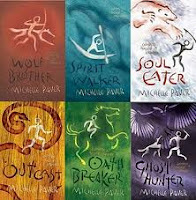 There are eleven books in this fantastic adventure/fantasy series for ages 10+.. and girls enjoy it as much as boys do... and adults who enjoy their fantasy reads really get into it as well. Gripping and highly addictive reads! 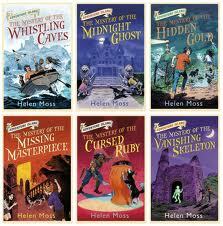 For ages 8 to 11 years, this is a great series that has the tone and formula of Enid Blyton, but is very contemporary. 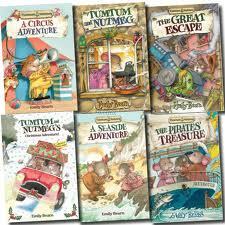 Loads of suspense and mysteries to be solved in this six book (to date) series. Wonderful reads! 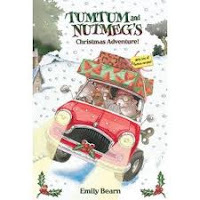 Tumtum and Nutmeg are two mice who have made their rather elaborate home in a disused cupboard in a cottage. The cottage is inhabited by children Lucy and Arthur and their absent-minded father. So far sounds a bit twee, doesn't it? Not at all. 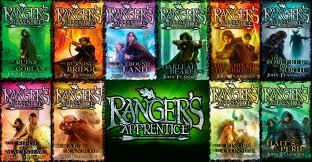 This exciting series for ages 7 to 10 is packed with action, adventure, a battle or two and plenty of drama. Very, very well written and a pure joy! Six books in all, plus a Christmas adventure. Yes, dear friends! It's out now and in hard copy... and very green! 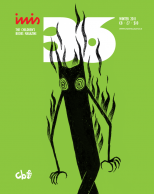 The new Inis Magazine 36 is out today! So, if you prefer your children's books commentary in actual paper and ink, get your NOW!!!! Inis Magazine... THE Irish children's books magazine published through those fantastic advocates of children's literature for all ages.....Children's Books Ireland. Many heart felt congratulations to the Federation of Children's Book Groups. What a great ethic to have!!! The CBC is proud to host the annual Eleanor Farjeon Award, which recognises an outstanding contribution to the world of children�s books by an individual or organisation. Librarians, authors, publishers, teachers, reviewers and others who have given exceptional service to our industry are eligible for nomination. CBC members nominate suitable candidates and then vote for the winner. The award ceremony itself is an enjoyable evening, with the winner�s acceptance speech being a particular highlight. No...well, yes...but no. I'm sharing this link with David Maybury's blog. David has a truly good explanation of what has been happening at Puffin Ireland. A few weeks back, the news came through that Puffin Ireland was to lose it's appointed children's editor, the absolutely wonderful Paddy O'Doherty. It seems that Penguin Ireland had decided they no longer needed an in-house children's editor. (Yet another victim of the current recessionary climate and it's effects on the publishing industry.) But, they still insist that Puffin Ireland has not closed. Michael McLoughlin (Penguin Ireland MD) says that manuscript submissions are still very welcome, and that he and Shannon Park from Puffin Uk will continue to work with assigned authors and illustrators. "Removing the Puffin Ireland editorial position may make good sense if you crunch numbers – but the investment in children’s fiction and the growing relationship and goodwill with reader markets, organisations, booksellers, media, libraries and beyond has hit a hitch. Congratulations and deserved well done to Paddy O’Doherty for the stalwart work, incredible potential and the brilliant list that she has created for Penguin Ireland/Puffin over the last two years. I just hope they continue to push as hard to continue the work she started." I was really sorry to hear this news. Paddy O'Doherty brought an incredible amount of skill, dedication and energy to this position, as she has done in the past with all her other accomplishments. She is a true voice for children's literature. All the best in the future, Paddy! The Galway Christmas Market Village is back, and I have to say it looks fantastic! But what I really wanted to post about is the wonderful, beautiful carousel! Warringtons have set up a 'proper' old style carousel that I can't wait to have a go on (big kid that I am!) So I just wanted to share a few photos of it. If you're in Galway, take this opportunity for children and adults both to have a little taste of nostalgia. 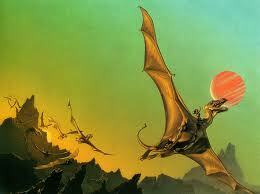 It is with great sadness that I report the death of the amazing fantasy writer Anne McCaffrey. She had suffered a stroke at her home in Ireland on Monday, 21st November and passed away a short time later. Anne McCaffrey was 85 years of age. She is survived by her two sons and a daughter. One of the pioneers of fantasy writing, McCaffrey was best known for her 'Dragonriders of Pern' series, great adventure stories populated by characters with nearly unpronounceable names and heavily focused on the political and social issues of the time. But the book of which she herself was most proud was 'The Ship Who Sang', about the use of people with disabled bodies as intelligence workers for mechanical ships. She receives much of the credit for paving the way for female fantasy writers. Personally, Anne McCaffrey gave me many hours of pure fantasy escape and delight. She will be sorely missed. 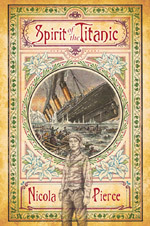 I'm just taking a moment to point out my review of Nicola Pierce's wonderful novel (ages 10+) 'Spirit of the Titanic. It's up on The Bookbag now. This is a truly wonderful novel for young people that will take you right back to the early 20th century and the construction and ill-fated maiden voyage of the ship they all thought was 'unsinkable'. A unique plot line and remarkable characterisations make this book as unforgettable as the Titanic itself. And with 2012 marking 100 years since the Titanic disaster, it's one I strongly recommend we all read. I am so excited about seeing this film! Based on the exceptional, elegant book 'The Invention of Hugo Cabret' by Brian Selznick (an incredible story told in words and pictures...all 526 pages of it! ), the film is directed by Martin Scorsese and has a cast that is just unbelievable!Coming very, very soon! This is one film you will not want to miss. Of course, we are talking about the winners of the children's categories, just announced this evening. For the senior category, the winner is : Anna Carey for her wonderful, funny, fresh novel 'The Real Rebecca'! Congratulations, Anna!!!! that lively, colourful and delightfully expressive picturebook, 'The Lonely Beast' by Chris Judge. Congratulations, Chris!!!! The category winners will be announced on Wednesday, January 4, 2012. Best of luck to all the nominees... and to the judges. This will be a difficult choice for them! "It’s very gratifying that the number of nominated candidates and countries represented continue to increase ..... The jury is full of enthusiasm for the exciting and difficult task to consider the work of so many qualified candidates." And perhaps most exciting of all for us, three candidates from Ireland have joined a list of eminent names from all over the world. Conor Kostick, author of the brilliant, exciting and unique Avatar Chronicles (among others), Siobhan Parkinson, whose works include Bruised, Something Invisible, Four Kids Three Cats Two Cows and One Witch (Maybe); as well as being the driving force behind Little Island and our own very first Children's Laureate and Ireland's greatest living storyteller - seanchai Eddie Lenihan are listed along side the likes of Eric Carle, David Almod, Eva Eriksson, Michael Rosen, Jan Pienkowski... and many, many more. Great company to be in!!! Congratulations to all. The Astrid Lindgren Memorial Award is presented to authors, illustrators, storytellers and those active in reading promotion. It is a worldwide event and is presented annually. 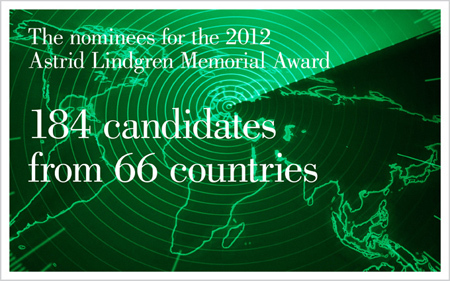 2012 will mark the 10th annual Astrid Lindren Memorial Award. 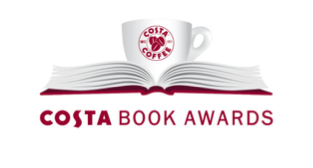 The latest list of candidates was revealed at the Frankfurt Book Fair on 13th October. The winner will be announced on 20th March, 2012. Just announced; the winner of this year's Guardian Children's Fiction Prize is Return To Ribblestrop by Andy Mulligan. "Andy Mulligan's Return to Ribblestrop, about a school filled with pupils including Colombian gangster's son Sanchez, self-harming Miles, wild Millie and a motley crew of orphans, is no Malory Towers (even the school motto is "Life is Dangerous"). 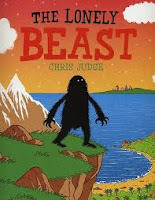 A travelling zoo is adopted by the children before term has started, with a sinister policeman, hidden treasure, football and friendship all to be tackled before the year is up." Beating out the worthy competition in the only children's award judged only by writers, Mulligan receives £1,500 and the honour of following in such footsteps as Philip Pullman, Anne Fine, Jacqueline Wilson and Michelle Paver (to name a few). Many hearty congratulations to Andy Mulligan and Return To Ribblestrop!